She Writes Press, 9781631524295, 256pp. Carly Gelsinger is an awkward and lonely thirteen-year-old when she stumbles into Pine Canyon Assemblies of God, the cracked stucco church on the outskirts of her remote small town. She assimilates, despite her apprehensions, because she is desperate to belong. Soon, she is on fire for God. She speaks in tongues, slays demons, and follows her abusive pastor's every word―and it's not until her life is burnt to the ground that she finds the courage to leave. 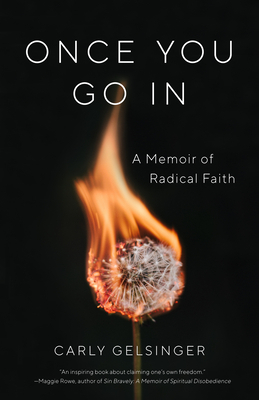 Raw and illuminating, Once You Go In is a coming-of-age tale about the beauty and danger of absolute faith, and the stories people tell themselves to avoid their deepest fears.